Traveling kitchens, mobile canteens, grease trucks – whatever your city calls them, nothing is hotter right now in the catering business than food trucks. East to West Coast, Americans are loving getting their lunches via the quick and easily accessible truck right outside their office. Food trucks are no longer that greasy, roach coach you pass by and wonder what type of meat they are actually serving in their sandwiches. Now, in 2014, food trucks are changing to attract new, loyal customers. In 2011, a law passed that allowed food trucks to apply for liquor licenses. This became a huge step in the evolution of food truck dining and opened yet another door for economic growth in the food truck business. If your food truck is serving alcohol, a great customer giveaway is a key chain bottle opener. These custom key chains can be printed with your logo or personal message for the local community to carry with them at all times. No matter where a person is going, they will need their keys, meaning your food truck advertisement will be going with them. 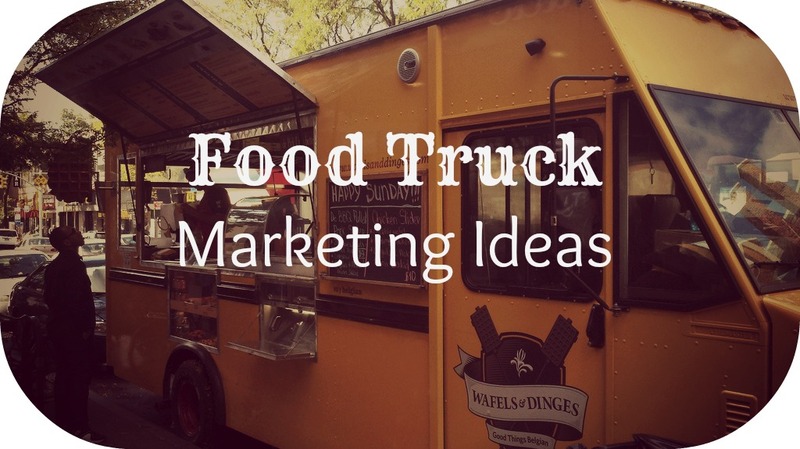 Whether your food truck specializes in Philly cheesesteaks, macaroons, or grits, no one will even know that unless you promote your business correctly. A recent poll stated that 23% of people surveyed follow a food truck in their area on social media. Twitter is the easiest way for you to connect with your community customers. So, if your truck is does not have an account, create one now! Then, hand out promotional products to let people know about it. It takes a few months to build up a truly successful account so pass out promotional stickers to all your customers to help gain exposure. Print your logo on them with your Twitter address located on the bottom. These stickers can be put anywhere from cars to laptops on college campuses, giving your traveling truck maximum exposure. You can even have Twitter contests. Use hashtags to get your business trending, give discounts to new followers or customers that share a picture of their lunch. Have fun with it! The more you enjoy promoting your business, the more enthusiastic the public will be to join in. I’m sure food trucks remind some people of that bland hot dog cart on the sidewalk corner but, many food trucks today specialize in gourmet foods that make your mouth water by just reading the menu. Just take a look at the top 10 food trucks in New York City. They’re serving up all kinds of mouthwatering fare. Date-lime banana smoothies. Pickled mango chutney. Spicy feta dip. This is all great stuff that should be promoted. When you’ve picked the perfect spot for the day, tweeted your followers your location, and prepped the food, the last thing to do is put your promotional pop-up poster board outside presenting the day’s menu and open for business. Food is something that brings strangers together. It doesn’t matter what language you speak, people will connect over a great bite to eat and a fun environment. Always have music playing that will attract customers and make sure to never work without a smile. Create an atmosphere around the truck that gets people excited to come back, not only for your amazing creations, but for the unique service.